How does your family enjoy time together? Between work, school, and my children's extra curricular activities - life can be busy and sometimes hectic! 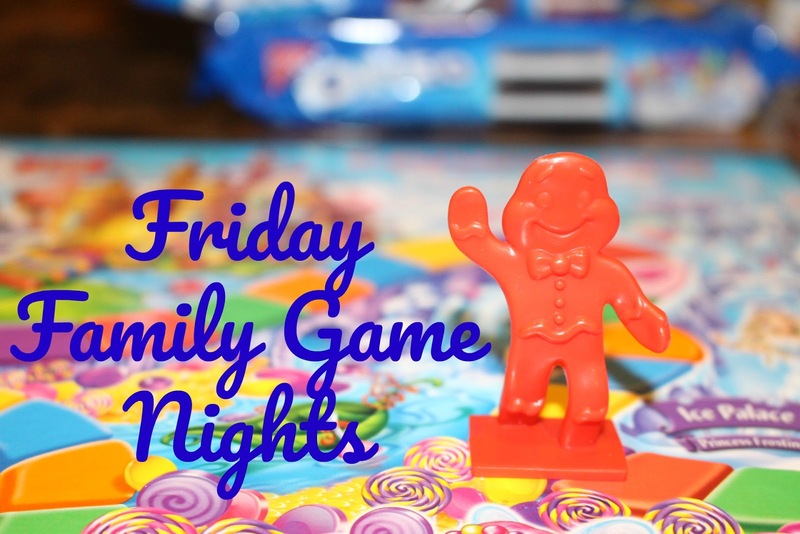 I started Friday family game nights a few months ago and it was the perfect way to gather everyone around for some quality time together! Family game nights are a great tradition to start and are inexpensive, once we had our first game night together, my children looked forward to Friday nights every week! There is nothing better than a room filled with your children's laughter, spending time together with loved ones and having a Wonderfilled night thanks to OREO sandwhich cookies! Starting a Friday family game night is easy! Talk about your plans with your children through out the week, share your excitement about game night with them as well! Choose 3-4 games (or more) that your family would like to play, some games that my children love are classic dominoes, go fish with a deck of cards, and even Candy Land! On Friday night gather everyone around the table about 7pm! Have everyone turn off their electronics or put them away for game night (yes, Mom your phone too)! Turn on some fun background music! Grab some food, your family's favorite drinks and get ready to have some fun! I love shopping at my local Kroger, it's my go-to store! As a single parent, I mostly purchase things that my kids like, my family enjoys cookies at home, and I love finding new ways to bring our family together! I picked up OREO sandwhich cookies for our upcoming Friday family game night, I'm so excited for Wonderfilled game nights with OREO! Have you seen the new Wonder Vault flavors? I couldn't wait to get my hands on OREO Red Velvet, OREO Cinnamon Bun, OREO Birthday Cake and OREO Salted Caramel! June is also my birthday month, how did OREO know that OREO Birthday Cake would be my absolute favorite? While you are purchasing OREO sandwhich cookies, don't miss out on the OREO MILKA Chocolate Bar! It contains crunchy bits of OREO + Crème Filling + Rich MILKA Chocolate Candy! MILKA is one of Europe's leading chocolate brands, made with milk from the European Alps and the finest cocoa bars. Currently both myself and my children can enjoy an OREO treat, if you buy one Wonder Vault flavor OREO, you'll get a free MILKA OREO Chocolate Candy Bar at Kroger grocers! Now that is one tasty BOGO deal! This offer is valid 6/14 - 6/20. There's nobody who's more in the know than a Kroger mom, and this year us mom's are getting inside access to the Kroger OREO Wonder Vault to discover everything OREO. Be sure to keep an eye out for in-store Kroger demos from 6/15 - 6/18. The demos will present Kroger-exclusive recipes, information on the newest OREO flavors, Limited Edition varieties, the new MILKA OREO Chocolate Candy Bar, fun facts about the history of OREO and Kroger and so much more! When is your next family game night? Don't forget OREO sandwhich cookies! Be sure to stay connect with OREO on Facebook and Instagram!